How does the experience of a severe mental disorder affect an individual’s sense of self and personal identity over the course of time? How does this vary in relation to the particular patterns and course of specific disorders? The workshop will include 6 sessions, in which clinicians/service users will reflect on these questions in relation to a range of disorders. Each talk will be followed by a short response from a philosophical commentator and a time for group discussion. Our aim is to create an interdisciplinary, collaborative and exploratory atmosphere, bringing together participants from mental health, philosophical and legal backgrounds. Affective (mood) Disorders: Julia Bland (South London and Maudsley NHS) with response by Jill Craigie (KCL). Dementia: Juliette Brown (East London NHS) with response tbc. Bipolar Disorder: Clare Dolman (IoPPN/KCL) with response by Wayne Martin (University of Essex). Psychosis: Eduardo Iacoponi (South London and Maudsley NHS) with response by Tania Gergel (IoPPN/KCL). Borderline Personality Disorder: Angel Santos (South London and Maudsley NHS) with response by Natalie Gold (KCL). Anorexia: Lorna Richards (Barnet, Enfield and Haringey Mental Health Trust) with response by Jonathan Glover (KCL). The workshop will run from 10-5:30, with lunch included, and is to be followed by drinks at a nearby venue. Places at the workshop are limited and so we would be very grateful if you could confirm availability as soon as possible. 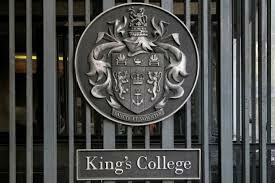 Replies to tania.l.gergel@kcl.ac.uk - please inform us of any special dietary requirements.